Wisdom of Life. 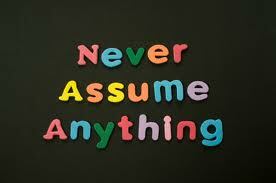 : NEVER ASSUME THAT MEN UNDERSTAND! A woman was in a coma. She had been in it for months. Nurses were in her room giving her a bed bath. One of them was washing her private area and noticed that there was a slight response on the monitor whenever she touched her there. They tried it again and sure enough, there was definite movement. The husband was skeptical, but they assured him that they would close the curtains for privacy. The husband finally agreed and went into his wife's room. After a few minutes the woman's monitor flat lined, no pulse, no heart rate. The nurses run back into the room. 'What happened!?' they cried. I am glad you enjoyed over my site.